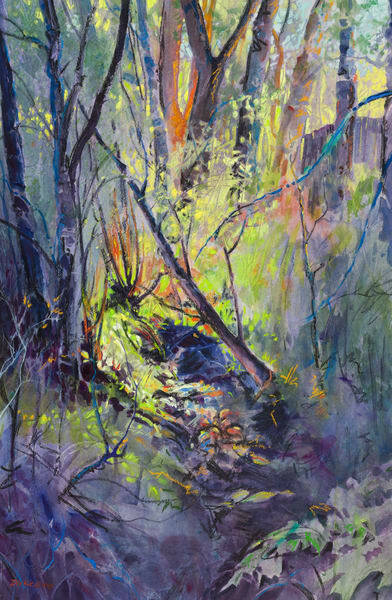 Spring light is tinged with the pinks of winter yet holds the gold of summer. 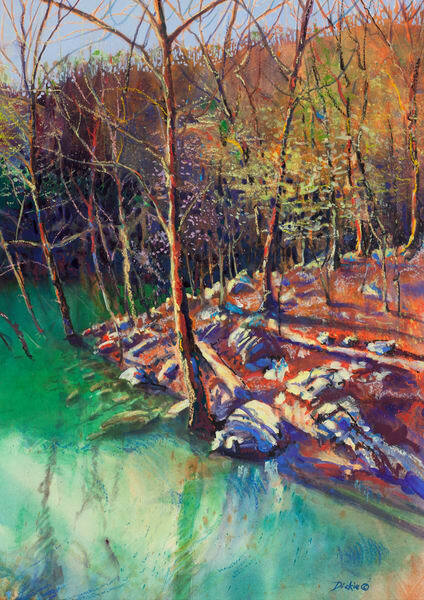 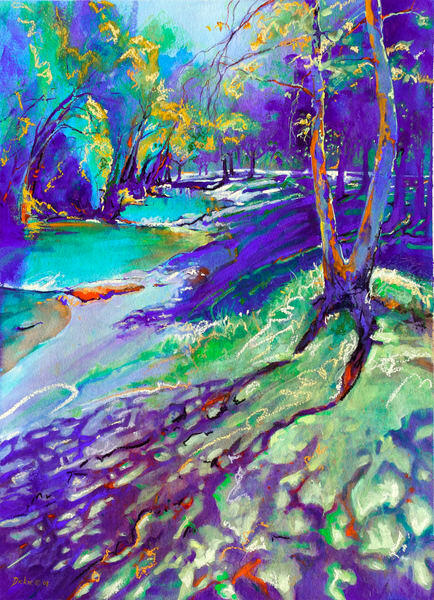 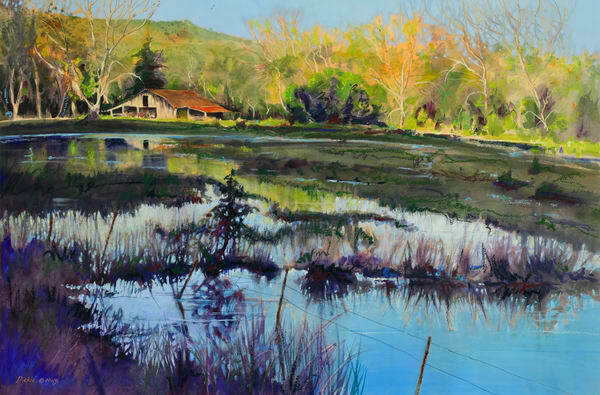 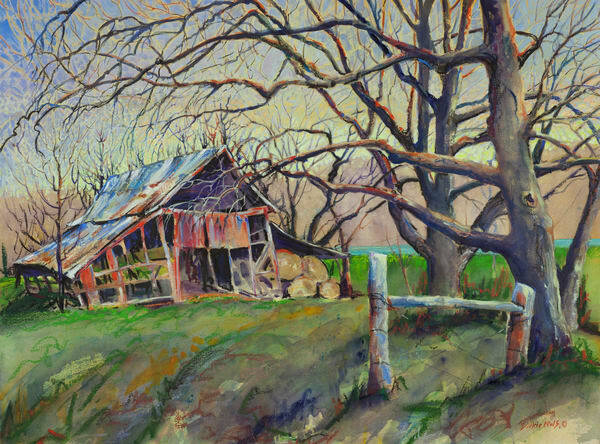 My paintings, many near my home in the Ozarks, reflect the gradations of color and light that abundant moisture, spring storms and a low light angle produce. 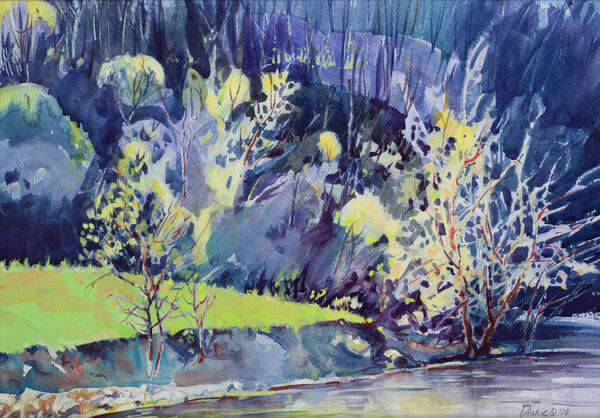 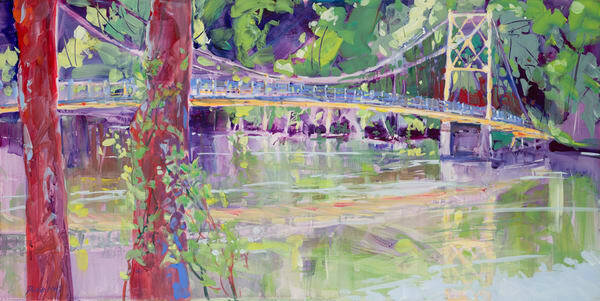 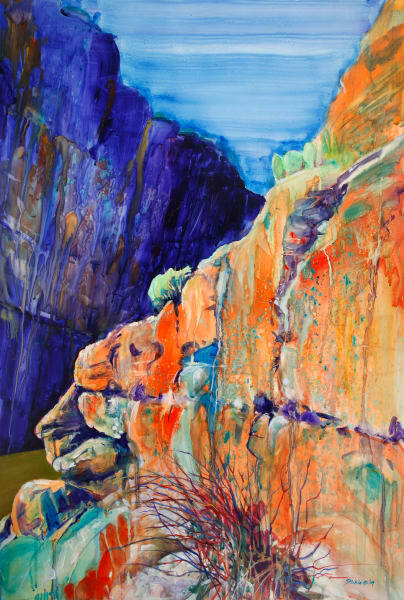 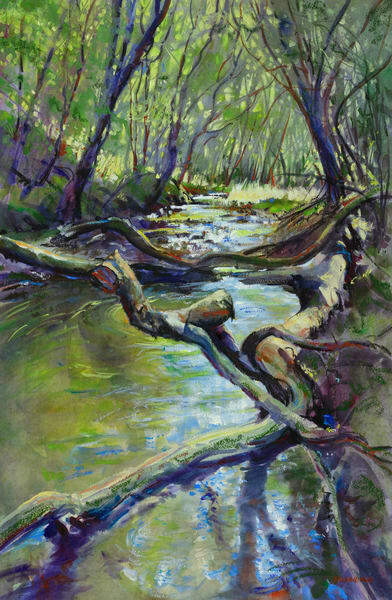 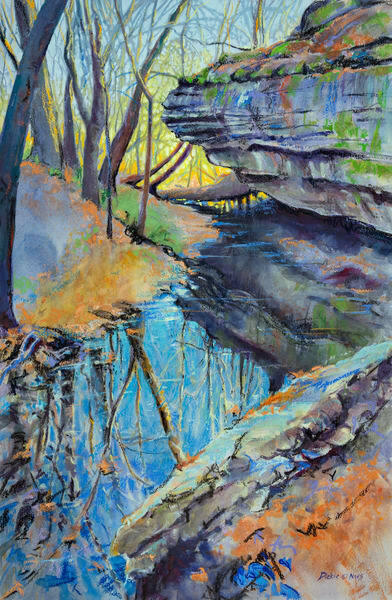 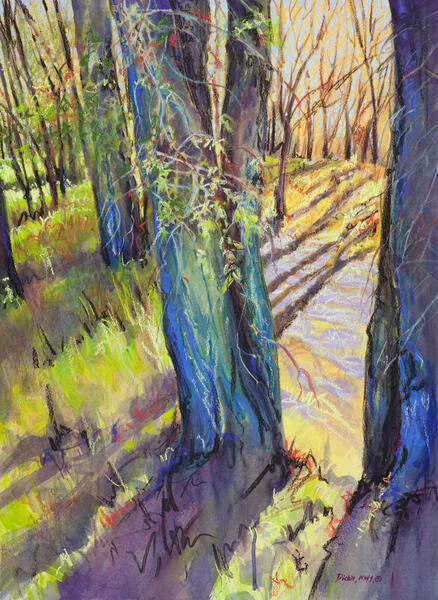 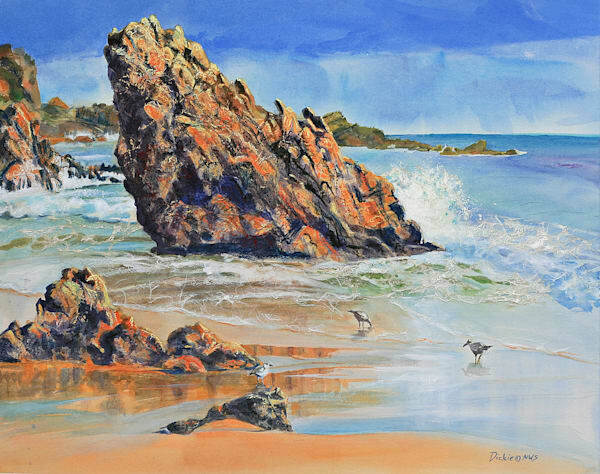 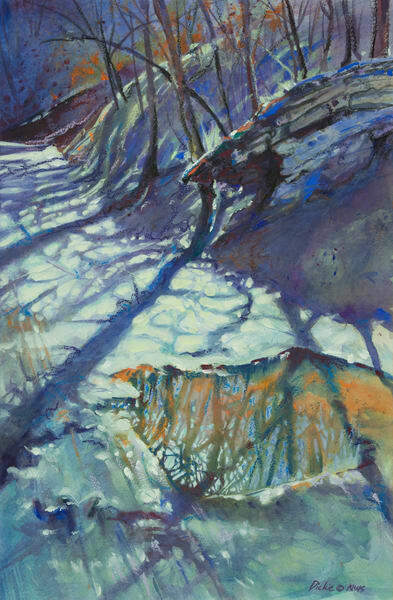 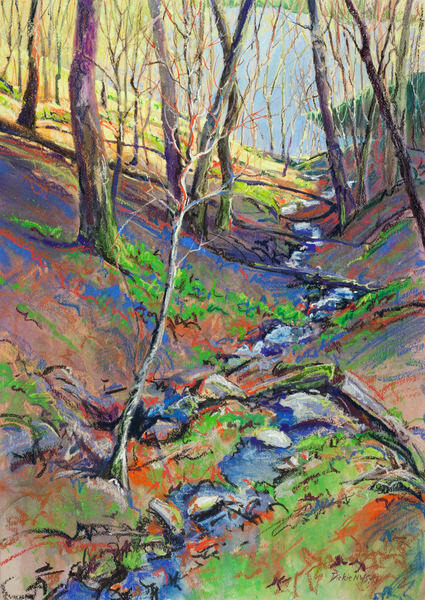 Springs is great time to make art outdoors in the Ozarks, but storms are quick to arise and can bring severe weather such as tornadoes and large hail. 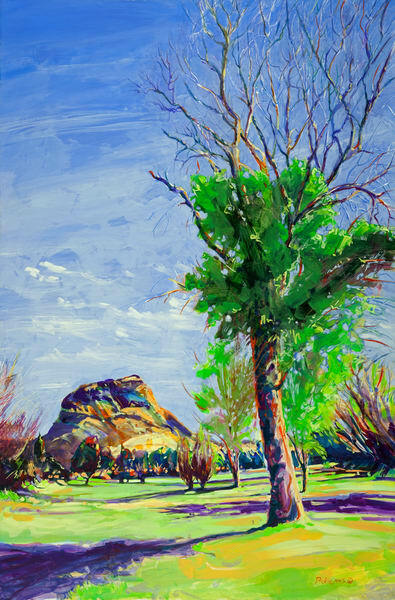 I've often had to grab my painting and hastily make for the car.